This story is based on an interview with TrustRadius member, Chris Ortega. Chris is Manager of Finance and Planning at WebLink International. He joined TrustRadius in March. Chris Ortega is Manager of Finance and Planning at WebLink, an Indianapolis-based company that provides software solutions to member-based organizations, like business associations and chambers of commerce. Chris started his job about a year ago. "When I came onboard there was a big need for a tool to help us with financial planning and resource allocation," he said. Chris started doing online research and sought advice from his LinkedIn network. He happened on TrustRadius when Googling reviews of Host Analytics. 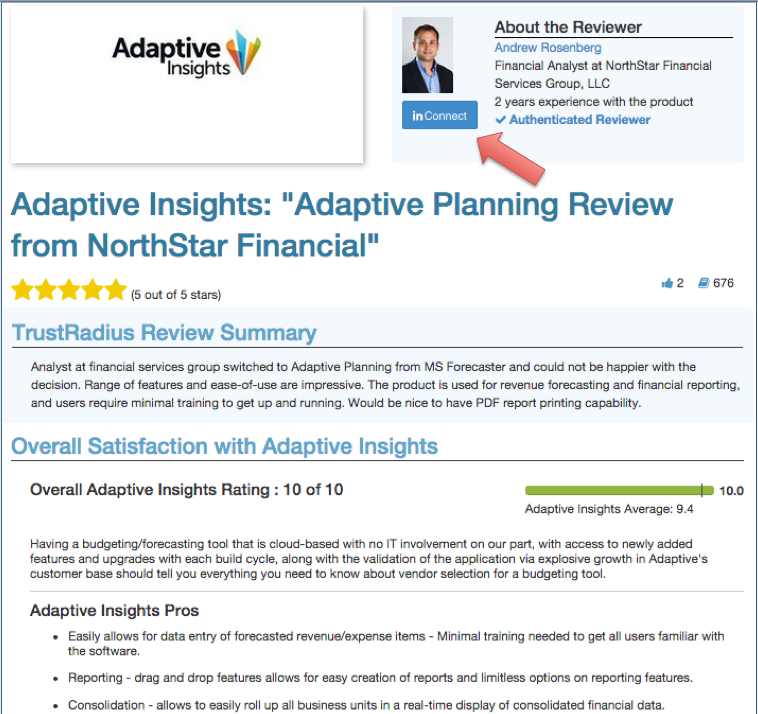 "I found the reviews on TrustRadius to be very comprehensive with in-depth analysis, and it was very interactive – you could reach out to these people who'd written them," he said. "Was this a real problem this person had using this tool? Or was it just somebody who had a beef with the software company?" he said. Chris used TrustRadius to narrow his list down to three options: Host Analytics, Maestro and Adaptive Insights. After meeting with sales representatives, Chris picked Adaptive Insights for its long-term potential. WebLink is now looking to expand and believes that Adaptive Insights will meet its business-planning needs well into the future.